I am gearing up for some serious painting sessions. These ork nobs were born from the couple of drubbings I have recently suffered in games of one-page-40K (battle reports here and here). I am hoping they will give me some options on the battelfield. 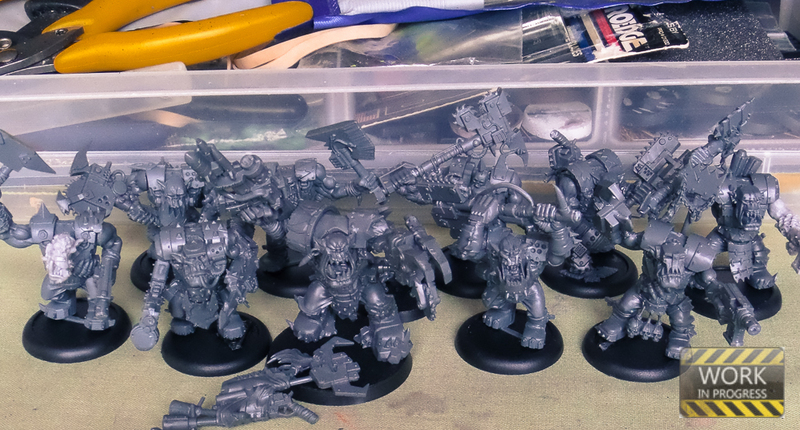 There's ten here, from the Stormclaw and Black Reach boxsets, plus a few leftover resin bits from commission work. The bases are (I think) from Malifaux, the official bases were far too small for these hulking bruisers. Along with the recently built dwarf slayers, this gives me plenty of brushwork to get through in the next few weeks. After battling through the desert wastes (see previous report), the orks have reached the outskirts of a bombed settlement. Chaos cultists have dug into the ruins, but even worse a huge defiler is roaming the craters for prey. The orks will have to remove these defenders if they are to continue their advance. 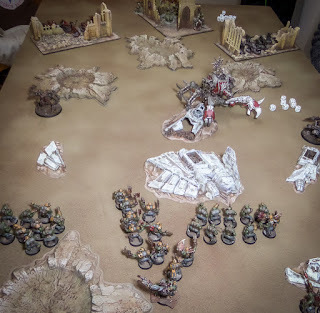 As the defender the cultists grabbed the centre of the table and the ruins, the orks then had to deploy at least 12 inches away from their enemy. The objective was to wipe out 75% of the enemy, within just 4 turns. A tall order, especially as I deployed the orcs at the far end of the table with no transport! I think I was trying to make the most of the cover, but it meant I had to travel down the length of the board, with the defiler sat right in the middle. 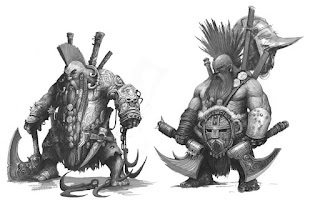 As in the last game, the orks struggled to make a dent in their well armoured foe, the weaker cultists wisely staying in the cover of the ruins, out of range of the slow moving mobs. The kans managed to get halfway up the board but were immobilised. The boys tried to make a run for it past the defiler, but predictably they were easy meat out in the open. Eventually a lone orc made a suicide charge into the defiler and amazingly he, er, committed suicide. 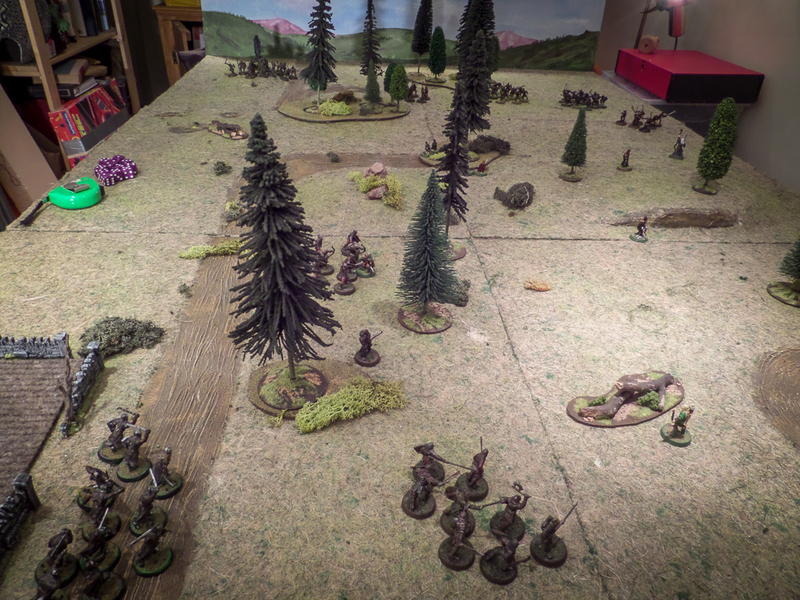 After shooting everything in my army at the beast for much of the game, it had took not one wound. 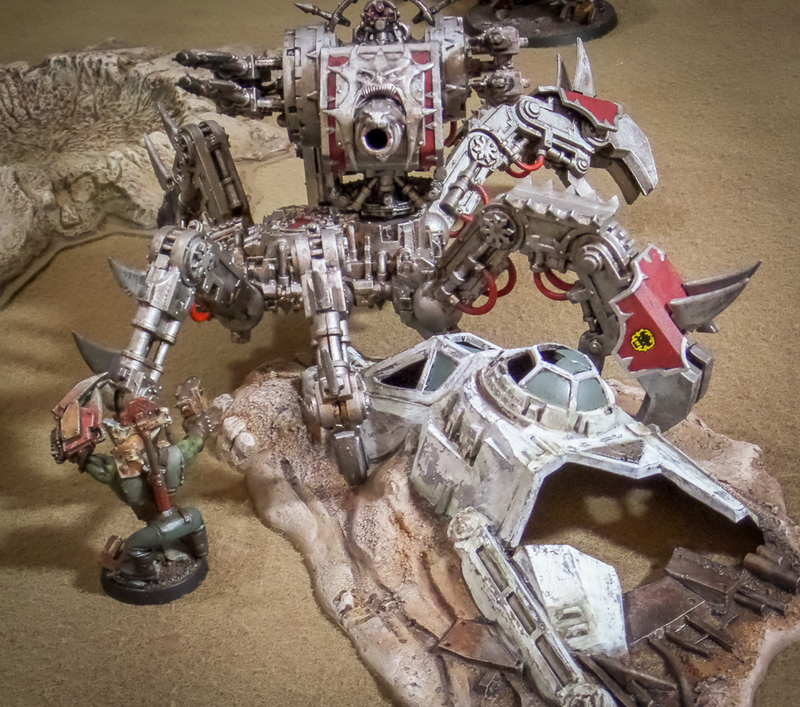 The orks definitely struggle against armour - and they probably need more mobility. Still, it was good to game in the new improved terrain. The crazed cultists proved to be very sensible really, they kept their heads down in the ruins and suffered just one casualty the whole game, though probably a disapproving tut from Khorne. Poor deployment and lack of mobility from the orks made it too easy for the chaos forces. I think perhaps a trukk would be a good idea to give the boyz some options. 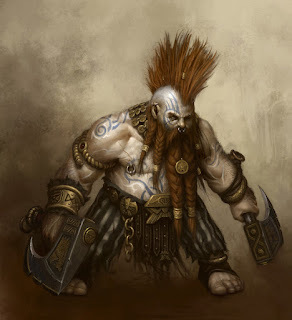 Maybe the addition of some nobs to give them a little more combat prowess. Or perhaps a squad of koptas would be the best bet. Something needs to change, before this becomes the World's Worst Waaaaaaaargh. I think I slightly surprised myself this weekend. Sorting through my dwarfs to decide what to paint next, I came across a motley selection of slayers. I have always loved the fluff for them, but found the models a little lacklustre. However, when I took a closer look at these figures (and stripped away the garish orange paint - the joys of ebay!) I decided there was plenty of potential. 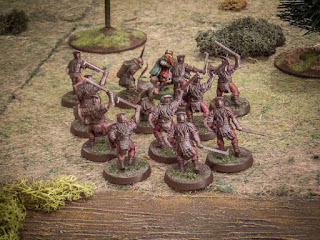 I originally had six in the unit, as that's a good number to use in Dragon Rampant, but then decided another two would be good for games of Saga. That's where the plastic dragon head comes in. It was originally intended as an elaborate base for the Blood Bowl figure, but now it's a useful unit filler. My ideal slayer sculpt would look like these shown below, various artworks collected from around the web, but what can you do? At least I can learn from the palettes. Painting inspiration is eluding me at the moment, I just seem to get an hour or two here and there. At times like these it's good to reach for a quick and dirty project - get something done even in a short time space. 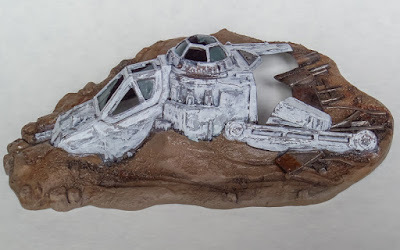 I have already outlined the weathering process in this post. After that I applied some shading and did a little work on the bases, but it was all fairly quick and easy. 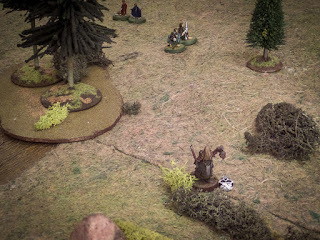 Let's play Lord of the Rings games using the Dragon Rampant ruleset. We decided to play a what-if scenario in which the Fellowship are waylaid by orcs on their way to Moria. All nine members of the Fellowship are still alive, pursued by Saruman's orcs. The objective was to get the hobbits from bottom right to the safety of an elven outpost (top left), with orcs arriving to hinder their progress. I jotted down profiles for the main characters - the hobbits were split into pairs and were scouts with invisibility, which meant they could not be shot. The other members of the Fellowship were all single models, mostly elite foot or heavy missile with various fantasy upgrades. I also gave each character a trait or two, to reinforce their heroic deeds. The orcs were mostly light foot, a couple of units of heavy foot and bellicose foot. Give or take a point, it was 50 points per side. 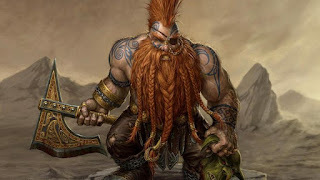 I was playing the orcs and started the game around turn 4 - I managed to move one unit before rolling three consecutive first turn fails - one of the main frustrations of the games for me. The Fellowship sprinted across to almost halfway while my orcs failed to pick up their scent! Legolas and Gimli started to count their victories, covering the rear. "I'll not be outdone by some pointy-eared elf"
"Forget the dwarf, find the halflings"
A lucky blow to the head sent the dwarf reeling, the orcs rushing on to search for their hapless prey. 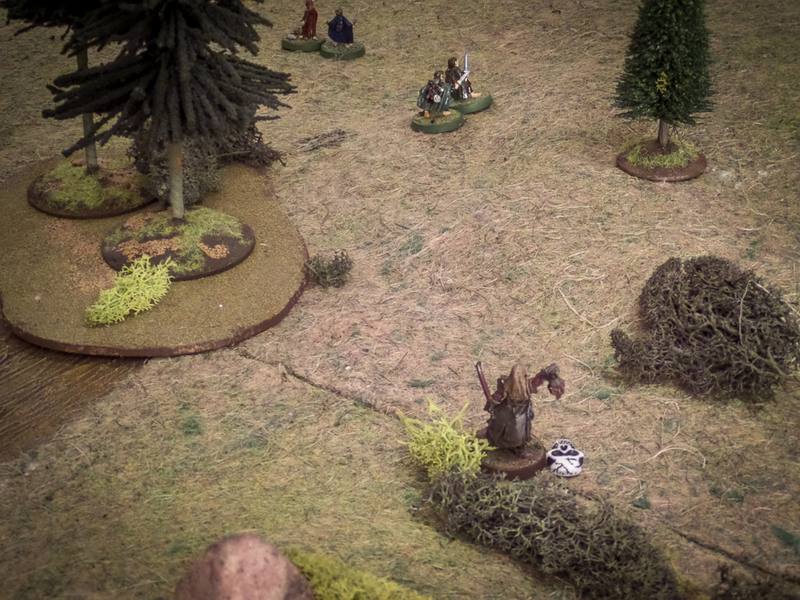 By this time my activation rolls were behaving and the orcs were swarming through the woods, searching for hobbits. Unfortunately, I didn't get too many more photos. Boromir put in the best literary performance, manfully shielding the hobbits from harm, black fletched arrows bringing him to his knees, slowly ebbing his strength. 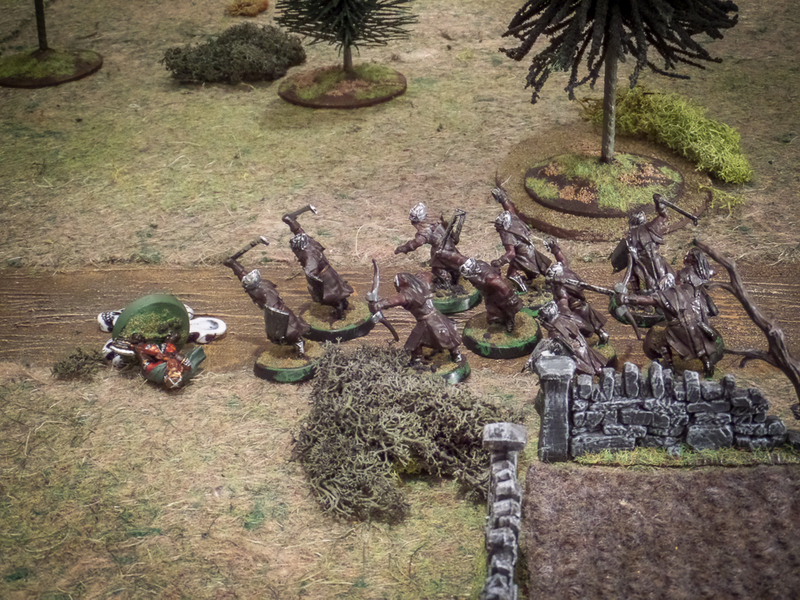 He took the full impact of bow shot from two units before finally staggering to a convenient tree trunk to perform his dying scene. 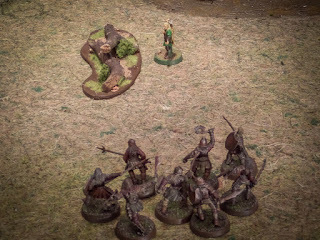 Gandalf blasted then hacked his way through a unit of berserkers, while Aragorn just hacked down his berserkers (but then embarassed himself by tripping on a tree root and falling into a bramble patch). Most of the orcs by now had fled, only the leader and a unit of heavy foot could stop the hobbits - and for a brief moment it looked like the Shire folk would be caught. But then a failed orc activation roll followed by a well aimed arrow from Legolas sent the orc captain reeling. Unable to stem the flow of blood he coughed his last orders to his lads, who promptly legged it in the opposite direction. "Get the filthy little scum"
The game worked pretty well. 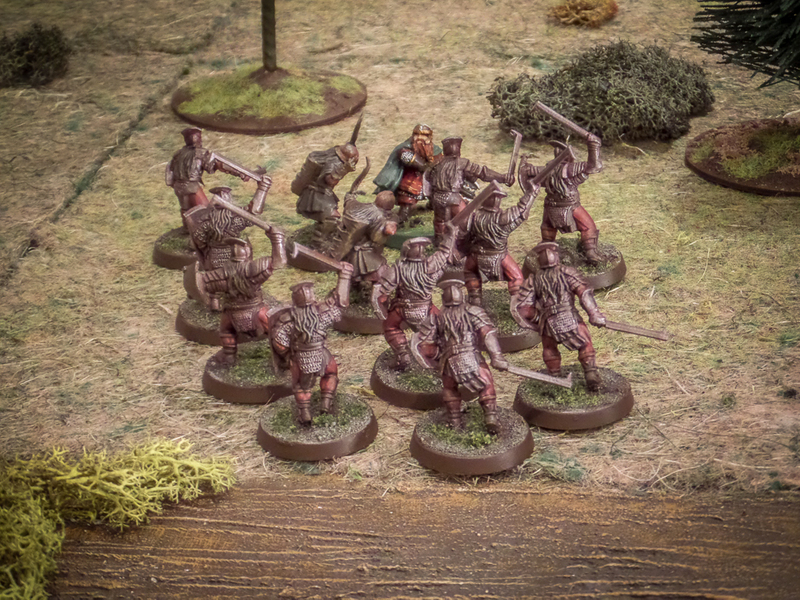 It certainly looked the part, with dozens of orcs pursuing a handful of heroes through the wooded terrain. The profiles I chose for the Fellowship worked well, though Legolas was a problem as the game does not really cater for a shooty hero. A couple of tweaks here and there would make for a better game. It's something we will most likely try again. 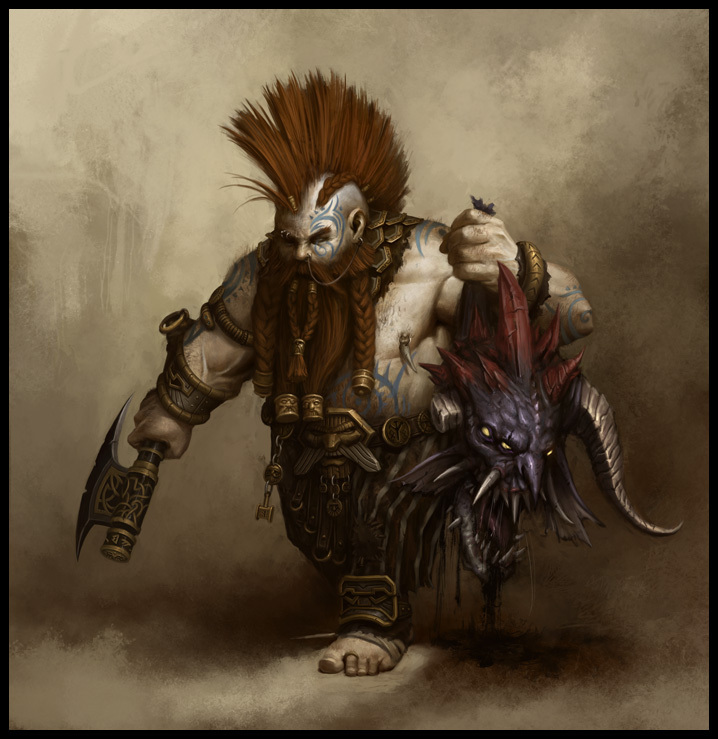 After being disappointed with previous attempts at Warhammer Rampant, this low fantasy setting worked far better. I visited my first (and possibly only) wargames show of the year yesterday - Vapnartak in York. It's held in the race course main stand, a well lit modern building with glass walls (to view racing horses of course). 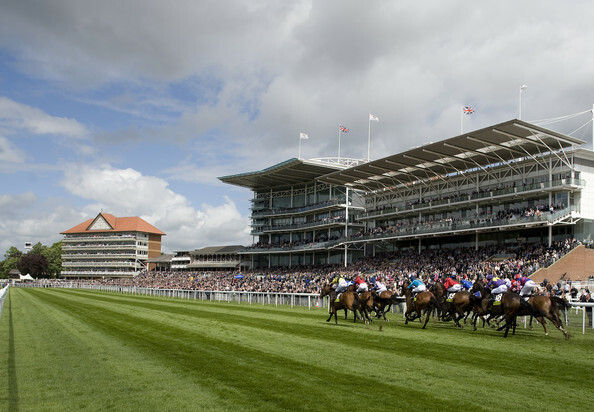 The sun shone, it was such a pleasant change from the usual glum weather in my part of the world. I took a few items to sell on the tabletop sale area. These were mostly leftovers from old projects and a few commission projects. I bagged them up and sold them at £3 per bag, two for £5. They don't sell on ebay because postage costs kill any bargain price. After my 45 minute slot I had about £35 to spend around the show. I picked up a couple of bargains on the tabletop sale myself, and a few small terrain items, again that are made relatively expensive to buy online because of postage. 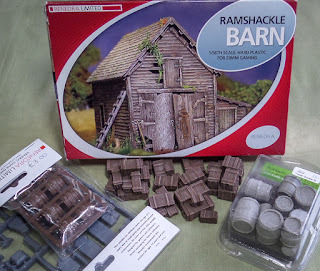 The barn was a particularly good buy, it was half price and there was an extra sprue of barrels in the box - something I found out back home, possibly would not have needed all the extra barrels had I known this. 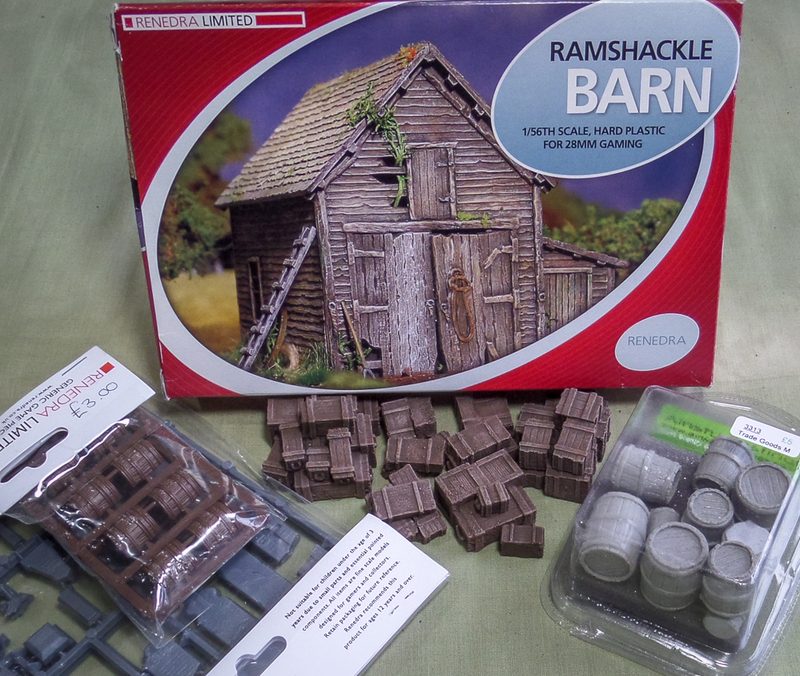 The multitude of barrels, crates and the barn will hopefully be useable as a light industrial area for gaming. The gravestones will be handy when I paint my Garden of Morr. Deducting the cost of my purchases, entrance ticket, petrol costs and refreshments, I still managed to end the day with £5 more than I started. I saw some sunshine for the first time in weeks, had a few laughs on the journey and thoroughly enjoyed the day. .....using nothing but a scruffy old brush and some cheap hairspray! Well, and paints too. I thought I would post a more detailed look at the technique I used on the killa kans, as I am working on some terrain and it's the ideal vehicle (ahem) to explain the method. Stage 1 : Spray prime a suitable colour. Usually I prime white, very occasionally black, but this time around I used Army Painter English Uniform to get a good start on the sand areas. Then down to the real business of the undercolour of your subject. In this case, it's a plate metal colour on the ship, though it could be anything really. I left this to dry overnight - I tend to do this with metal paint and varnish coats. Stage 2 : Wash the base colour to give some definition. I mix black and chestnut together to give a murky brown, then add some matte medium so it flows into the crevices. You don't have to be too careful here, all this will be covered by another colour at some point, but I mopped up any pooling with a clean, damp brush, especially on the base. Stage 3 : If you want rust, now is the time to lay the foundation. Add browns and work up to orange, or use pigments, or whatever you usually favour as rust. Again you do not have to be too precise as all this will be concealed, but I tend to work it into the panels and around rivets, plus a few random places. Once this is dry, apply varnish. I used vallejo matte varnish using a big soft brush and then left it to dry overnight. Stage 4 : Spray hairspray all over the model. I am using the local supermarket's firm hold variety, it's the cheap and cheerful stuff. You might want to step outside to do this, otherwise you will have a sweet, sticky residue all over your work area. Let it dry naturally, until it's just beyond tacky. This will depend on the hairspray, temperature, etc. Stage 5 : Apply your main colour(s). 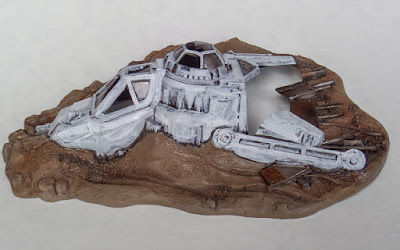 On this piece I have decided to paint a white colour (been playing Star Wars Battlefront recently). I rarely use pure white and so I mixed a little light grey into the white paint - this also helps because white tends not to cover well. I just paint this on with a brush, trying to avoid filling in panels and crevices but not really worrying too much if this happens. Because it's white it takes two coats, but I use this to my advantage as the first coat is almost a shading undercoat while the second coat is a psuedo highlight. Stage 6 : The magic stage! Immediately after the previous stage, get an old brush and dampen it with water. Lightly rub along the raised edges. The varnish (and paint) will lift off, leaving the under colour visible. There's no right or wrong way to do this stage. 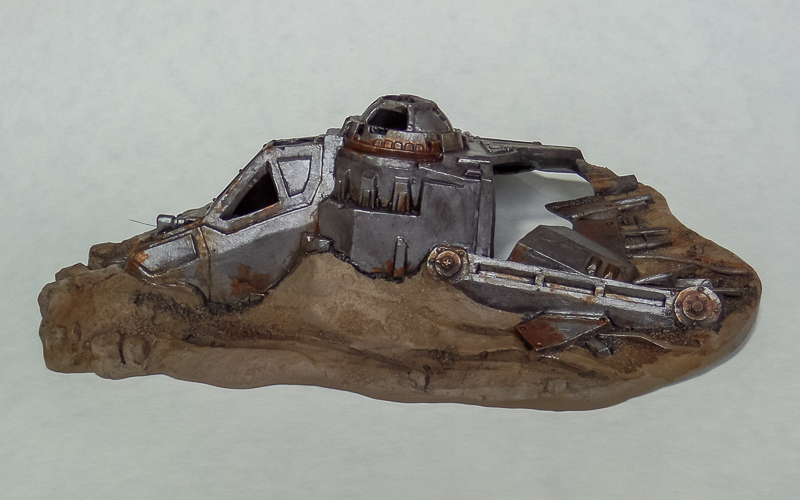 I first go over the model taking off most of the squared edges and any raised rivets. Then I look for areas that would be naturally more worn - round access hatches and doors, the nose of the craft in this case, but without being too precise. A few random areas get brushed too. If any revealed patches are too large, I simply dot the over colour on again to fill in the patch. And that's all there is to it. After the last step I might go back and fill in some of the bigger patches, it really depends on how much damage you want. There's still work to be done, shading and painting in the details, a matte varnish to remove the hairspray sheen - but the battle damage is now complete. 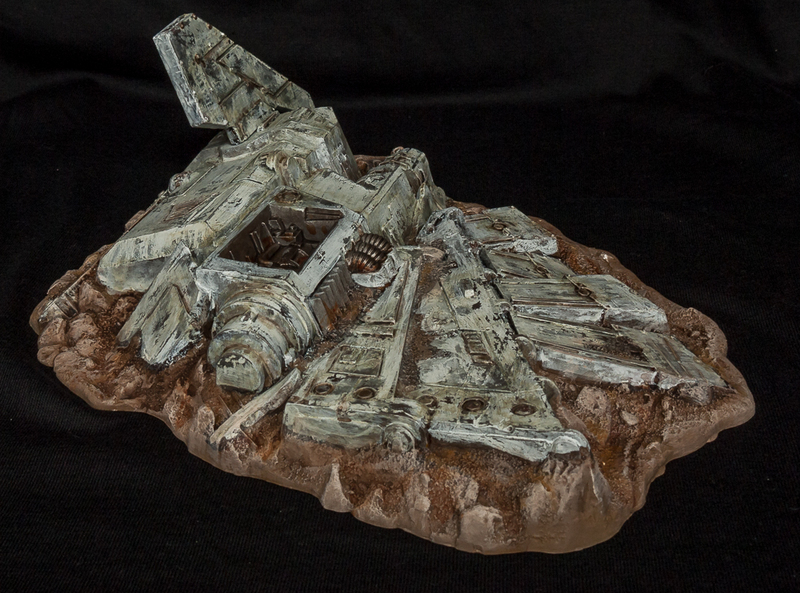 After last week's game of one-page-40K I was very keen to get some more terrain ready for battle. I wanted something really quick, that I could bash together in one or two sessions. Luckily, I had just the thing stashed away, in the shape of some plastic craters and a wrecked ship - the latter came from the Battle for Macragge starter set, it's been sat in a cupboard for a long time. I was aiming for speed, so I used an Army Painter primer, English Uniform, a sandy brown. The terrain will be used on my desert "board", so this was a good base. 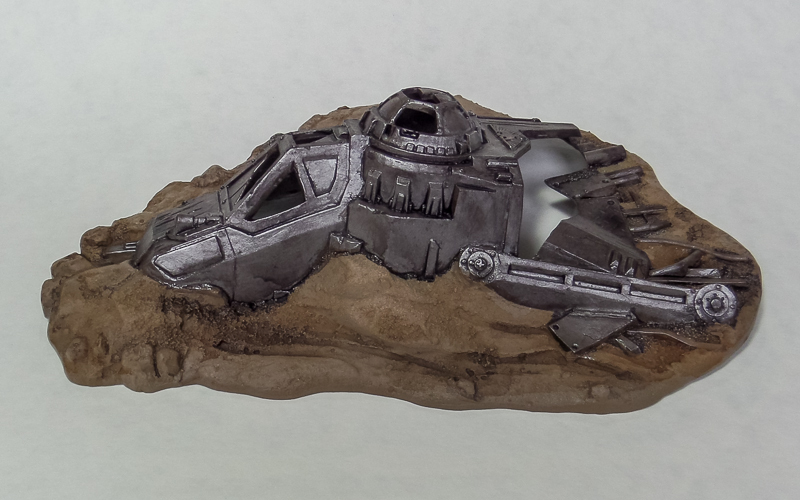 Then I used cheap craft paint to drybrush a little texture. 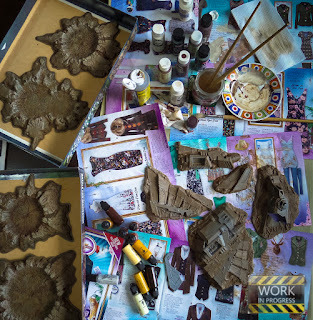 I washed with ochre and brown to pick out the detail, then stippled and washed with Woodland Scenics Earth Basecoat. A quick blast with the hairdryer, then more drybrushing, more shading and washing, before a final wash with burnt umbre gouache paint. After about an hour, the craters were done - a good result. The crashed ship will take a little more effort. 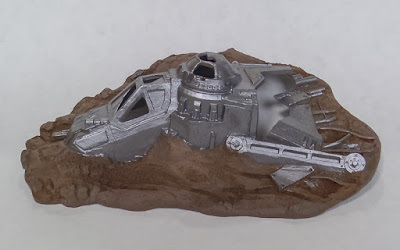 The earth bits will get a cut down version of the above methodology, while the ship will be painted silver and then given the hairspray treatment, so that will be done over a number of days to allow the coats to dry properly in between. When completed, these bits of terrain will almost triple my collection, so hopefully the next battle will be far more interesting and tactical. 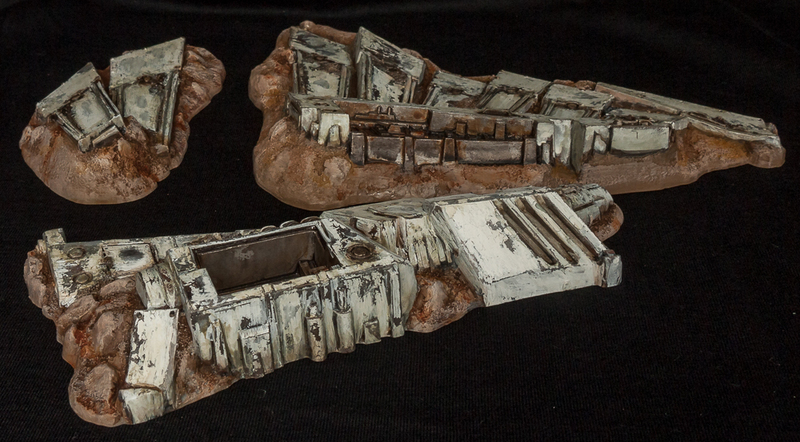 These will count as low hills, difficult terrain, helping to fill the gaps on the battle field. If I can make or source half a dozen rocky outcrops, I think I will be all set for a decent board.